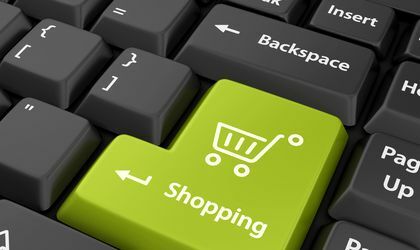 E-commerce is one of the fastest growing sectors, a market that will exceed EUR 3.5 trillion by 2020, according to the Statista. Romania is no exception, with a market that is constantly developing and rapidly pursuing global trends and estimates of EUR 4.5 billion in value in 2019. “PayU estimates that this year, the Romanian e-commerce market will exceed 4.5 billion euros. Romanian traders must be aware of the new trends, with cross-border online trade being the most important one. From our experience, this is how they can increase their sales by 50 percent, and emerging markets with the world’s highest growth are certainly a destination to take into account,” says Marius Costin, country manager, PayU Romania. In a few years, cross-border online trade will account for a third of all online sales, according to PayU. As the online buyer barometer of 2018 shows, last year, around 6 out of 10 online European buyers purchased products from a site outside the country, and 76 percent said their experience was very good. Shopping online in other countries is certainly a trend and more and more traders follow it. A recent study shows that 66 percent of companies intend to develop their business by accessing new markets around the world. “The big players on the e-commerce market are already expanding their business at the international level, even on the Romanian market, becoming strong competitors for local stores. We can expect only an increase in this trend, even more so the new regulations, such as the removal of unjustified geo-blocation from the online environment, come to support this direction. Online stores in Romania that have already expanded their business outside the country have made good results. PayU is ready to support Romanian traders to achieve this global vision, including the global PayU HUB platform, which guarantees access to 2.3 billion potential consumers and over 300 payment methods. We can help them prepare payment formats in local languages, provide access to payment in different currencies, and to allow consumers to pay with what they have in their pocket. This is reflected in rising rates and converting that online store,” adds Costin. From the moment a consumer enters a website, his journey must be enjoyable, secure and personalized. Locating customer buying experiences will make the difference between companies, with recent data showing that 41 percent of consumers have changed the brands they buy due to a lack of a personalized approach, and 50 percent say they have done so because of “a negative buying experience”, according to the Accenture report. What should traders do? First, make sure that their messages and offers are accessible and relevant to local consumers wherever they are – whether they spend their time or social networks, mobile or desktop. Social networks have become today’s modern catalogs and a powerful tool for traders to reach consumers and keep them in the long run. Also, whether they use AI, VR, visual or voicemail searches, it’s important to ensure that they invest in that technology that improves the consumer buying experience and is suited to their needs, culture and habits. When the customer has made the decision to buy a product, the checkout process must take place without any effort on his part: be simple, fast and secure. According to the Baymard Institute, about 70 percent of buyers abandon their shopping cart. Up to 13 percent will abandon the purchase if they do not have a local payment method they prefer. Romanians are accustomed to paying online with the card, while Poles prefer to pay via payment links. On mobile, it’s easier to pay with one click. And when you do not have enough money in your account, it is preferable to have the option of using an online credit that allows you either to pay later or to divide your online rate. Merchants have to make sure that they are addressing each consumer with the right payment method. “As market competition grows, payments can make a difference. Merchants should first offer a safe and flawless checkout, show local currency prices and provide consumers with the right mix of payment methods,” says Costin. Data privacy continues to be one of the most important areas of interest, as Romanian traders still struggle with implementing GDPR in creating a memorable buying experience. Every customer must be sure that their data is safe and merchants must comply with PCI-DSS and data privacy standards, as well as choose partners that meet the same requirements. With the entry into force of the PSD2 Directive, consumers will gradually have access to a more comprehensive range of online, safer and more diversified online financial services, and traders must have partners that meet these standards. 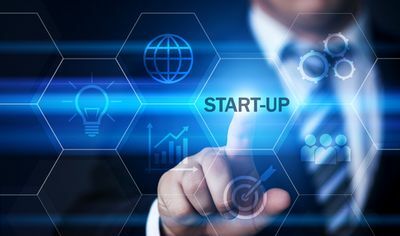 All FinTech companies, which are licensed payment institutions, will be able to introduce new types of services, such as initiating payments and confirming the balance of funds in your account. These solutions are an essential part of PSD2 and can stimulate financial innovation. “2019 is certainly a year of growth. Being a fast-changing company, such as online cross-border shopping, is the guarantee of success in 2019 and beyond. ‘Choose your partners carefully and wisely, always keeping a global view’ is my advice to any online store owner,” says Costin.